Publisher’s Note: The US Department of Education’s Office for Civil Rights offered a glimpse into the extent to which racial inequality plays out in our nation’s education system. The data supports the findings that Black, Latino and Native American students have less access to advanced math and science courses – a finding that has been known for many years. But in addition to the lack of access to courses that are essential if one is to find employment in the 21st century, the Department also reported disparate and unequal treatment from school administrators. The comprehensive data collection performed by the US Department of Education suggests that racial disparities are not specific to any given region. Their data suggests a nationwide pattern that consistently produces disparate outcomes along racial lines. The statistics are staggering. But behind every number is a face and a story. When we look at data, sometimes, the people behind the data get lost. But I’m not built that way. The Office of the Inspector General (OIG) within the Los Angeles Unified School District (LAUSD) is an independent investigatory body responsible for investigating fraud, waste, and abuse. So, what would you say if the very entity responsible for those investigations was itself engaged in behavior that appeared fraudulent, wasteful, and abusive? And what would you say if one of its employees reported what appeared to be abuse only to become the subject of bullying and retaliation? Based on my experience, I would guess that LAUSD administrators consider themselves above the law and not required to follow or enforce whistleblower complaints with mandated investigations. The LAUSD is the second largest school district in the nation; an untouchable superpower, seemingly, as you’ll see from my story. Right now, the highest authority figures in the district are burying their heads to allegations of possible criminal activity and actively circling the wagons around an out of control OIG. I have for the better part of a year, been publicly silent and fighting this battle alone. In March 2015, I reported what I believed to be potentially criminal behavior and acts of retaliation and disparate treatment to the LAUSD’s Equal Opportunity Supervisor Cheryl Broussard. Broussard works in the Office of the General Council, Labor and Employment Legal Services, under the direction of David Holmquist, General Counsel. This is important because months later, in September 2015, after not getting any relief from the bullying directed against me, I met with (then) LAUSD Ramon Cortines and his deputy, Michelle King. After months of not hearing from Cheryl Broussard regarding my complaint, in June 2015, I met with Earl Perkins, LAUSD Deputy Superintendent. This meeting generated a telephone call to me from Cheryl Broussard in approximately August 2015. Broussard eventually prepared a report of her “findings” in a September 2015 report. After reviewing the report, I concluded that Broussard’s “findings” appeared to be lifted whole cloth from Frank Cabibi, Deputy Inspector General, Investigations, and Jorge Urquijo, Supervisory Investigator. Broussard’s report was little more than a regurgitation of their responses and their statements, including inaccuracies which lacked verifiable support. One such inaccuracy in Broussard’s findings was that my laptop had been confiscated by Cabibi and replaced with another district laptop that had software programs installed necessary for the completion of my assigned investigations. This is not an accurate depiction of the facts. I assert that had Cheryl Broussard conducted a thorough investigation, inaccuracies would have been uncovered and correctly reported. Instead, her report simply appears to restate and therefore co-sign Frank Cabibi’s version. It should be noted that between June 26, 2015 and December 2, 2015, Frank Cabibi and Jorge Urquijo have confiscated my district-issued laptop computer from my workspace in excess of 85 working days. Having my laptop taken seemed like a clear attempt to thwart my ability to complete assigned work; yet I have managed to complete my investigations in a timely manner in spite of their actions. The reason given for removing my laptop was “security concerns.” I have asked and waited for a reasonable explanation as to how I might “secure” a transportable laptop on my desktop to no avail. While this was happening to me, every other investigator in the Office of the Inspector General has been allowed to keep their district-issued laptop computer on their workspace unmolested. I submitted my complaint of discrimination, bullying, and harassment to Supervisor Broussard expecting a full investigation. However, her “findings” lacked evidence of a thorough, unbiased investigation. Broussard’s handling of my complaint should give pause to other District employees who’ve had her “investigate” their complaints as her “findings” may not be reliable, in my opinion. It is my belief, with regard to my complaint, that Cheryl Broussard lacks credibility as a fact finder/reporter. Imagine my humiliation when I realized that an entire room of my peers had been waiting for my return. As a woman, this was particularly distressing and embarrassing. This was not just any supervisor who humiliated and degraded me in this way; Frank Cabibi is second in command to the Inspector General, Ken Bramlett. Cabibi had actually stopped his presentation just because I left the room momentarily for a restroom break and then announced that fact to my peers. Public humiliation just joined bullying and harassment. The disparate treatment continued on an almost daily basis. As of this writing and during my nine-year tenure with the LAUSD, I have never been counseled, received any written reprimand, received documented corrective action to improve my work performance nor have I been the subject of disciplinary administrative action. Yet I am bullied by my supervisors. Believe me, if OIG administrators had cause to discipline me in the past year; they would have done so. Prior to April 2014 and the hire of Frank Cabibi, I was the “go to” investigator on matters of high importance and sensitivity. I have enjoyed a professional and amicable relationship with everyone I encountered. In September 2015, after I met with (former Superintendent) Ramon Cortines and recently promoted Superintendent Michelle King regarding possible misappropriation of public funds, malfeasance, payroll fraud and a litany of other egregious behavior being perpetrated by those whom I affectionately refer to as the “unholy trinity”—Ken Bramlett, Frank Cabibi and Jorge Urquijo—the retaliation campaign again intensified. I informed Superintendant Cortines that he should be concerned regarding the prosecutorial viability of investigations that Cabibi and Urquijo have touched. A lack of credibility by those involved in investigations, whether administrative or criminal, jeopardizes the outcome of those proceedings. It should be noted that there are several high-profile investigations currently sitting in the Los Angeles County District Attorney, Public Integrity Unit, awaiting criminal prosecutorial consideration; which have been, in my opinion, tainted by Frank Cabibi and Jorge Urquijo. It might be helpful if the head deputy of the public integrity unit review the viability of those cases before many more work hours are wasted. I provided documentary evidence to Cortines and King regarding what I believe were lies told by Cabibi regarding the OIG’s inability to assist Charter Schools Division with requested investigations. Documented evidence of the delayed investigations was presented. As of this writing there has been no investigation into this matter. I communicated the same concerns with Ricardo Soto, General Counsel, California Charter Schools Association; something that I suspected may get back to the “unholy trinity.” I am waiting for public, taxpayer outrage over my revelations and an investigation by an outside agency with jurisdiction and oversight of the OIG. I also asked Superintendant Cortines for whistleblower protection from retribution. None was given. I knew once the unholy trinity became aware of my meeting with Cortines and King; retaliation would intensify. I was right. In November 2015, Cabibi and Urquijo decided to deny my use of entitled sick leave benefits and docked my pay in violation of Education code 45160, 45166 and District Contract Article 13. Why? Because they can. I’ve reported the illegal declination of pay to Elvie Espinoza, Director, Payroll and Gifty Beets Director, Labor Relations to no avail. My California School Employees Association representative has attempted to intervene. Those contacted acknowledge I am entitled to sick leave benefits and that the District is supposed to reinstate my pay however. As of this writing I am still owed pay. Why? Because they can. Currently, Inspector General Ken Bramlett has not provided me with a W2 for 2015 and has failed to respond responded to my email requesting my W2 for 2015. Why would the Office of the Inspector General fail to provide me with my W2 as required by law? Why? Because he can. Currently, Bramlett is threatening me with “disciplinary action which could lead to suspension or termination” if I do not return three case files which I investigated and submitted upon completion to Urquijo for review and distribution. According to Bramlett, these files are now “missing” and if I don’t “return them” I face disciplinary action. Bramlett’s threat of “discipline which could lead to [my] termination” is telling because these so-called “missing” files are easily duplicated. Every written report and document germane to any investigation conducted has been saved and stored in the Office’s internal reporting system; called Time Matters. I believe this is an attempt by Bramlett, his deputy Frank Cabibi, and Jorge Urquijo to manufacture cause to fire me. Why? Because they can. I will then have to fight the wrongful termination later. THIS is how (some) within a superpower like the LAUSD grinds down a single employee who has the temerity to challenge their retaliatory, discriminatory behavior and the demonstrated belief that those in positions of authority can act with impunity while seeking the shelter of a large organization that is seemingly willing to circle the wagons around them. I have not gone away quietly in the night. I have and will continue to speak out against their campaign of retaliation. Before Mr. Cortines retired, he told me he did not have jurisdiction over the OIG and referred me to Steven Zimmer, President, LAUSD Board of Education. I met with President Zimmer, provided him with documented evidence of possible malfeasance by the OIG administrators. Zimmer accepted my documents and has had no more contact with me. I believe he is in cahoots with Bramlett and Cabibi and has turned over the documents that I had given him regarding their perceived bad acts. After my meeting with Zimmer, I arrived at work one day to find a 8×11-sized paper prominently plastered to my workspace monitor with a communication from Urquijo; a communication that can best be described as a public flogging. The sheet of paper contained what should have been a confidential communique between a supervisor and subordinate—yet this was placed prominently on my desk for everyone in the office to view. This was not the first time that I had been humiliated in this way by administrators. For anyone who has ever complained about a supervisor, been bullied, and tried to follow company protocol in seeking an administrative remedy only to have your supervisor(s) conspire against you—you feel my angst. By the way, Bramlett has not spoken one word to me—even though I “cc” him on emails with regard to the retaliation and harassment that I have been subjected to by Urquijo. So, when I speak as an expert regarding the problems that exist within police agencies, the code of silence and “going along to get along,” some ask me “why don’t the ‘good’ police officers tell on the “bad” ones,” fear of retaliation and the lack of real protection as a whistleblower are the reasons. To illustrate how frustrating this fight has been and how difficult it is to get ANYONE to listen and help, I have, over these past few months, reached out via email and through telephone conversations to the Jerry Brown, California Governor; Kamala Harris, California State Attorney General; Department of Fair Employment and Housing; Tom Torlakson, California State Superintendent; President Obama, The White House; Department of Labor Relations; and probably others I have forgotten because this is exhausting—all to no avail. Eventually, some organization is going to take notice, investigate my allegations, and prevent the bullying and retaliation. I will press on in my efforts to identify the organization which has investigatory jurisdiction over Offices of the Inspector General. Everybody reports to somebody, right? If anyone knows. I would love to hear from you. The LAUSD is circling the wagons and attempting to grind me down and wear me down. My hope is that anyone who reads this and finds themselves similarly situated will find the strength to hold on. I know that I am not the only one nor am I the last one to take on a superpower employer. I know that there is someone else out there who is also exhausted in the struggle. Stay strong. This has been a very trying time but I am resolute in my position. So, I will end this report as I have every email that I have written to the unholy trinity and those who I thought would have an interest in doing right by the students of the is LAUSD by saying this. Should I befall any hurt, harm or danger, I am requesting my friends and family to begin their investigation at the steps of the Los Angeles Unified School District, and, more importantly, in the Office of the Inspector General, Investigations. important issues making national headlines; as such she has appeared as a guest expert on the Dr.
of The Creation of a Manifesto, Black & Blue; an autobiography that pulls the covers of the LAPD and provides an unfiltered look into the department’s internal processes. 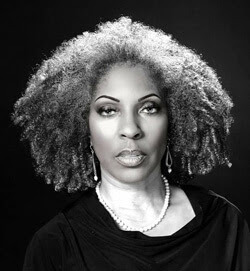 Visit Cheryl’s website www.cheryldorsey.net., listen to her on Soundcloud follow on Twitter @sgtcheryldorsey and BlackandBlueNews.